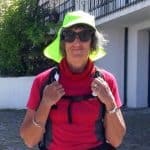 A snap decision was made to walk 680kms across Spain on the Camino de Santiago in 2012. With less than 3 weeks before departure date the research began! 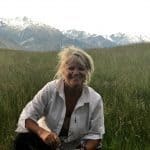 Little thought was really given to the task I was committing to, as I realised every story I read of the pilgrimage recounted tales of ‘broken feet’. Blisters raw and bleeding, feet too sore to carry on, excruciating, crippling pain. It was no longer important where I was going, there was time only to be sure I found some means to make it to the end with my feet intact. Every waking moment was spent exploring foot protection recommendations. In general terms, I knew I couldn’t physically carry enough for 4 weeks walking, of all the expensive stick on products, and there were so many to choose from I didn’t know where to start. Eventually my searching turned up the possibilities of sheep’s wool and the advantages of a natural, light product that wouldn’t further damage my feet. 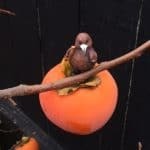 Wool it was – but where to find it in practical quantities? Word of mouth at last got me a small bag of precious wool to squeeze into the back pack and we were on our way. The intrepid journey began. 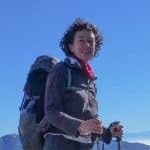 Day one, (June 1st, 2012) of a 30 day journey on foot began with special attention to the right footwear, technical socks , tea tree oil rub and Vaseline to our feet and the first 27 kms through the Pyrenees from France into Spain in 27 degrees was under way. Within the first gruelling 10kms alarm bells rang and a ‘hot-spot’ was felt. Stop!! Pack with wool, replace sock . Aahhh! That felt better. By the time we reached the first milestone we were tired and hot. We were certainly not prepared to find at least half a dozen other pilgrims sitting barefoot – walking shoes and socks cast off as they were closely examining their sore reddened feet. Some had blisters already formed, others just looking for relief from the boot pressure. At the 14km marker on that first day I was still able to perform a dance of skipping around the marker in jubilation – admittedly, the last dance I did! Our journey continued on for endless days. Time once spent on face makeup was long gone! The daily 20 minute foot prep remained the same but it was the wool that saved us. Often at the end of a hard day trudging up and down mountains, we were the sole survivors with ‘unbroken feet’. We started to share meagre amounts of our wool – mindful that we had a long way yet to go. 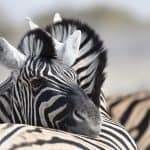 Barbara from Texas was eternally grateful for her few grams of New Zealand wool – she had resorted to stuffing her toes with toilet paper – clearly not very effective. June 30th we finally walked somewhat wearily into Santiago de Compostela. Like all our fellow pilgrims, the celebration was not one of euphoria, just tears of relief and pride- and for us, intact feet. To our amazement we did not meet one other ‘Pilgrim’ who had not at some point of the 680kms suffered from ‘broken feet’. Yay!! Thank you thank you to all the sheep of New Zealand.! 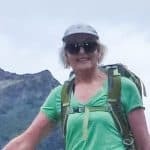 Returning to New Zealand I have continued to encounter huge numbers of sportspeople, walkers, skiers etc who have had issues with comfort of their feet while enjoying their passion. All have taken the opportunity to ‘try my wool’ and so it is, that a market has evolved for Wool-it – a skin cushion of wool for blister prevention. Perhaps one day I will return to the Camino and offer salve to the pilgrims before they set out! 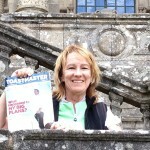 I used "wool it" for my walk across Spain on the Camino de Santiago. I found it be invaluable. Every morning before I began my days' walk, I would wrap it around my toes and on any pressure spots from the day before. I didn't get any blisters at all, which I'm told is almost unheard of on such a pilgrimage. I'm running in the Sydney city to surf and will use it on a toe issue I currently have. I would highly recommend it to everybody for use on lengthy walks or runs. 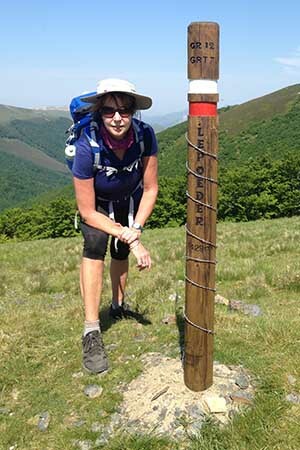 We walked the Camino May 2015; The Way of St James across the top of Spain, 790k. 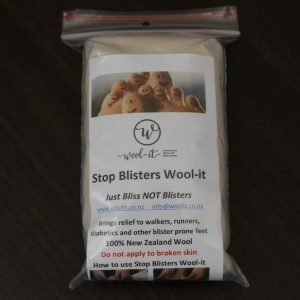 A few days before we left for this wonderful walk, we were very lucky to find out about a new product to help in the prevention of blisters using wool fibre to tuck into hot spots in your socks. We used this daily on areas where we know we get blisters from other hikes and any hot spots that developed. During and at the end of the Camino we came through with no blisters and our feet being in great condition. We used vaseline daily and the wool fibre together. We are sure the wool fibre made the difference in the comfort of no blisters and from now on we will always make sure we have some Wool - it on hand ready to take on all our hikes. This is a lovely product and recommend other hikers try it and keep some on hand with their gear. We walked a section of St James Way -part of the Camino de Compostela. We chose the section from Conque to Cahor in the Mid Pyrenees. We walked for 7 days from18-28 kms a day ...150 kms in total. We both had comfortable well broken in walking shoes but both started to get blisters. The Wool-it 'wonder wool' was a lifesaver - it eased the pain and helped the healing process. We didn't stop at the first hint of pressure pain and so had blisters to drain that night with a sterile needle and painted on betadine. The following morning we carefully padded them with tufts of Wool-it - quite literally bliss for our blisters. We replaced the wool as needed . 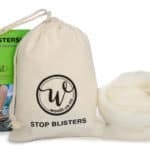 We met a few others with crippling blisters literally carrying around a pharmacy with them.. this is unnecessary and not nearly as effective.... just carry a little packet of Wool-it... Get them early and blisters will be averted - a little later and they will be simply sorted!! We told lots of people about your fabulous product - THANK YOU! 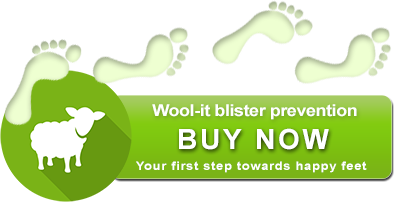 Wool-it saved my feet both hiking in Nepal and climbing in New Zealand mountains. Don't leave home without it!! I didn’t get a chance to say “thank you – it worked!” on the weekend. I had the wool around the front of my toes and no problems on the spot that I usually get a blister, followed by toe nail death! Excellent, am getting ready to tell all my running friends! I found the mountain mission hard, and as far as I can tell today, my feet are the only part that’s NOT sore ! All good until last few hours of 3rd day when my left heel started to niggle and I should have stopped! However, I put Wool-it in my boots on the 4th day and miraculously completed the track in comfort thanks to Wool-it. Wool-it! I love it! If only I had started using it on Day 1 of the Kepler. I could feel 2 small blisters and just walked on, suffering. Day 4 was sheer BLISS - with blisters but not discomfort because I used Wool-it. For future NZ tramping 'apply Wool-it early'. Imagine hiking without the fear of blisters and hot feet. It is possible - Wool-it did it! Thanks. I was given a package of Wool-it as a part of a welcome kit with Active Adventures. I am 61 years old and suffer from osteoarthritis and other foot issues. My biggest challenge leading up to the trip was to find a way to shelter my feet from blisters and parts in need of padding. Wool-it is incredible. 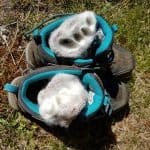 I was able to discard all the other foot solutions I had brought with me and simply used Wool-it to wrap the sensitive areas from chafing in my boots. This product is a miracle for hikers and this view was shared by many on the trip and since I have returned to Canada.